Took a day off yesterday to explore the local surrounding areas of where we live, especially Lake Mead Blvd, Tenaya, Buffalo and Smoke Ranch. It was good to have a bit of head-clearing time, as I've been 'angsted' up about my painting - that I don't feel like I'm getting enough work done. I looked at the architecture (all new) and all the junk caught in the rock gardens lining the streets. 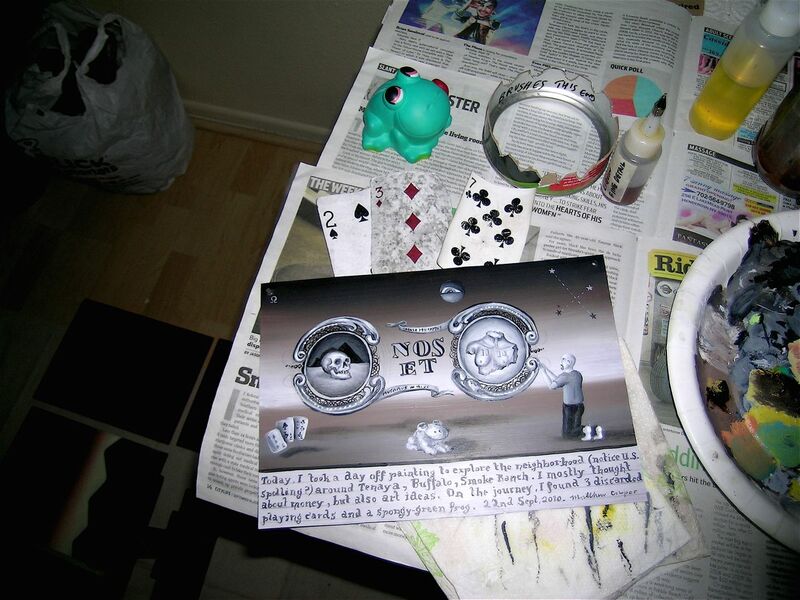 I picked up items such as a small green foam frog and some playing cards, got home and painted an ex-voto of them. This is the first ex-voto I've painted in months, so it's a good feeling that this could lead to more. Yesterday, JK and I went into to drop off our works at Blackbird Studios for the Zombie exhibition opening on First Friday. Gina invited us to do some impromptu art, so JK painted a frame and I painted a toilet saint on an old 100-year-old manuscript. While in the art mood, we also made our way down to UNLV to the Donna Beam Gallery to check out Able-Bodied - work from LA Louver Gallery at Venice Beach, CA. 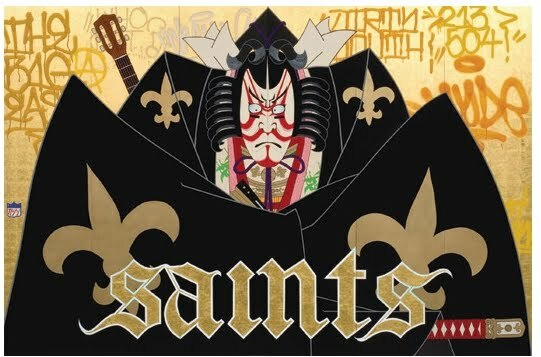 The show had some good painting in it, although it seemed to be using old buzz-words from the late 80's /early 90's such as multicultural artistic exploration and the like. Maybe multiculturalism has cycled back around into fashion again. Time for another Helter Skelter? Gajin Fujita - The Saints.